Dan Schneider is the creator of some of the most popular and influencial family-friendly TV shows in history. With a career that spans decades, he became a fixture on-camera and behind the scenes in many roles, including actor, producer and screenwriter. 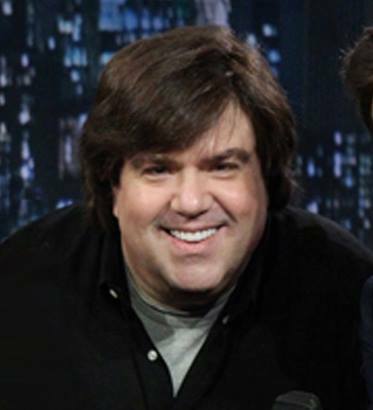 Audiences first became aware of Dan Schneider during his 5 seasons as the wry and sarcastic computer whiz Dennis Blunden on the ABC sitcom Head of the Class (1986 – 1991). He also appeared in major feature films such as The Big Picture with Kevin Bacon and Better Off Dead starring John Cusack. Dan’s screenplay writing credits include Big Fat Liar, starring Frankie Muniz and Paul Giamatti, and the film adaptation of All That’s classic sketch Good Burger, starring Kenan Thompson and Kel Mitchell, whose careers Schneider helped launch. Dan Schneider continues to be a seminal force in television comedy programming aimed at kids and teens. Schneider has served as executive producer or creator of 11 (eleven) hit television series for Nickelodeon, earning multiple Emmy nominations. Some of his classic works include Drake & Josh, iCarly,Victorious, All That, Zoey 101 and Kenan & Kel, still-popular shows that provided big breaks for stars like Ariana Grande, Taran Killam, Nick Cannon, Liz Gillies, Josh Peck, and Jace Norman. "To all you guys on this stage here with me: I love making television so much. You know how much I love making comedy, TV and funny stuff. I feel so lucky getting to spend my days hanging out with people as talented and hilarious and wonderful as you. So, thank you for making my life great and every day SO FREAKING FUN!!!" Schneider is an avid supporter of St. Jude Children’s Research Hospital, located in his hometown of Memphis, Tennessee. In 2010, Dan took the entire casts of his shows iCarly and Victorious to St. Jude for a fundraising event to benefit children battling cancer. Schneider lives in Los Angeles with his wife Lisa Lillien— plus a dog, a cat and a few bunnies. Lillien, the founder of the popular Hungry Girl brand, is a multiple #1 New York Times best-selling author and created her own show on Food Network. Dan Schneider’s Twitter is @DanWarp. His website is DanSchneider.com.